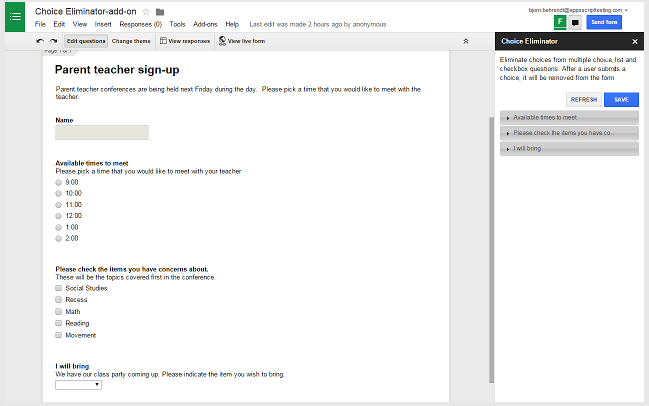 Since its release a few months ago, add-ons store for Google Forms has several interesting tools added to it. We have gone through these apps and selected the most popular ones there. 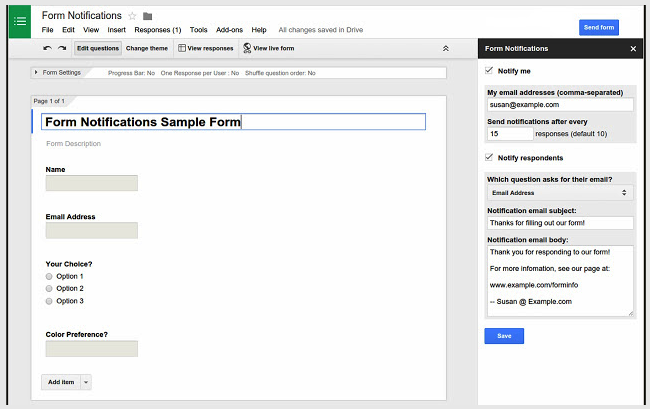 You can use these add-ons on your forms to add more features and options such as : sending custom emails based on responses, eliminate an option from a multiple choice list after user has submitted it, populate multiple choice lists and grid options from columns in any Sheet, and many more. Close your survey automatically, after a maximum number of responses is reached, or at a date and time of your choosing. 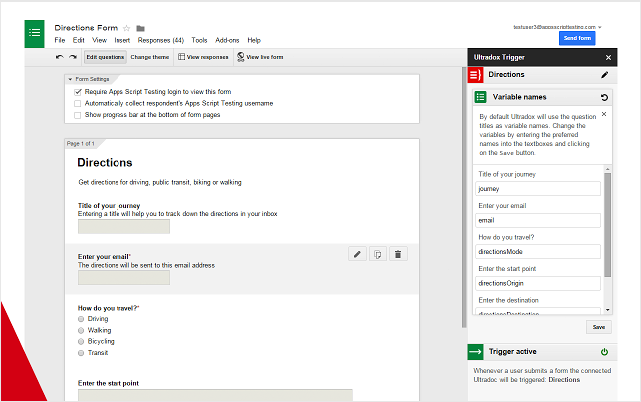 Create custom emails, reports, invoices, newsletters, etc., based on information that people enter into your form. Store and pull from lists that you use regularly in Forms, like a list of staff, students, rooms, resources or anything you want. 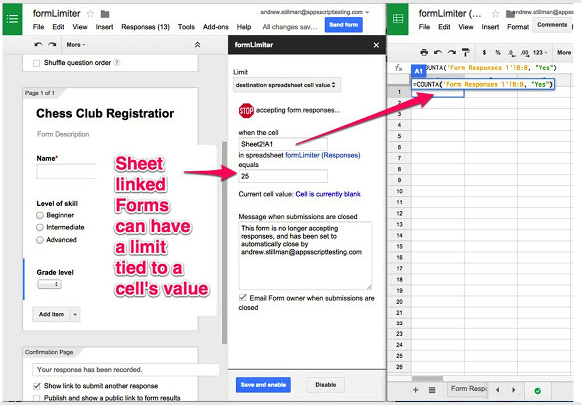 formRanger allows you to auto-populate the choices in list, multiple choice, checkbox or grid question options from columns of data in any Google Sheet or Doctopus roster. 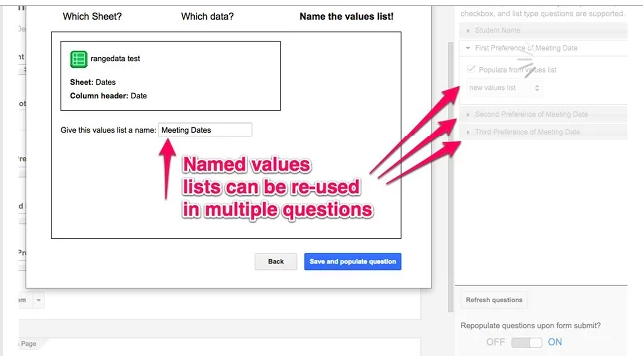 Great for ensuring form choices match values in an existing database of records, such as students, inventory items, expected attendees, workshop or session titles, etc. -- useful for then applying matching formulas such as COUNTIF, VLOOKUP, MATCH, and others. 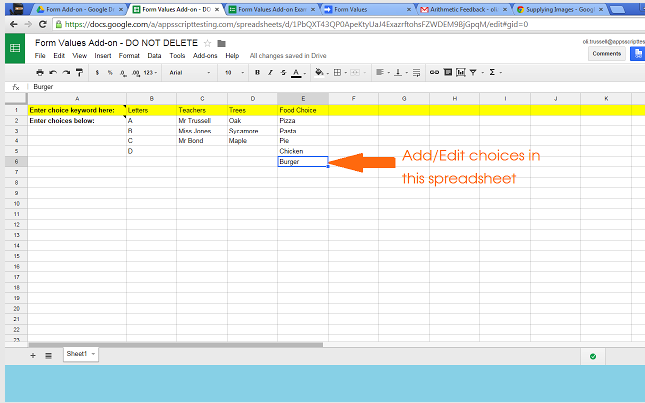 This will eliminate options from a multiple-choice, list, or checkbox type of question. Great for signing up for time slots or having students choose topics without doubling up. 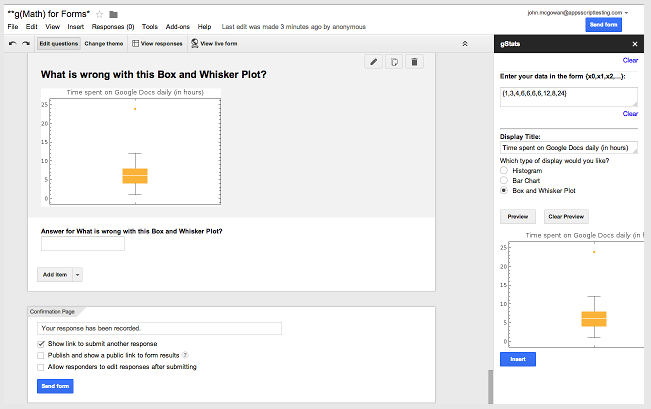 Create graphs (including plotting points), statistical displays, and write complex math directly in your Form!Create graphs and complex math directly in the sidebar and insert them as Form items.